That's West Point's motto, and every cadet who passes through its stone gates vows to live it. But on the eve of 9/11, as Dani, Hannah and Avery face four grueling years ahead, they realize they'll only survive if they do it together. Everyone knows Dani is going places. With athletic talent and a brilliant mind, she navigates West Point's predominantly male environment with wit and confidence, breaking stereotypes and embracing new friends. Hannah's grandfather, a legendary Army general, offers a stark warning about the dangers that lie ahead, but she moves forward anyway, letting faith guide her path. When she meets her soul mate at West Point, the future looks perfect, just as planned. Wild child Avery moves fast and doesn't mind breaking a few rules (and hearts) along the way. But she can't outpace her self-doubt, and the harder she tries, the further it leads her down a treacherous path. The world of business, of love, and of war awaits Dani, Hannah, and Avery beyond the gates of West Point. These three women know that what doesn't kill you makes you stronger. But soon, that adage no longer rings true for their future, or their friendship. As they're pulled in different directions, will their hard-forged bond prevail or shatter? Dani had spent hours trying to convince Lisa to stay, to no avail. It felt like a personal failure, losing a teammate. Her first failure as the next team captain. Give me a book about strong women and their friendships, the good, the bad, and the ugly...along with unconditional love and support, and I'll take it any day. That's exactly what Claire Gibson has created in Beyond the Point. A story so poignant, so believable, so true to the nature of young women and their relationships...such a good story...with no perfect endings, and many tears along the way. 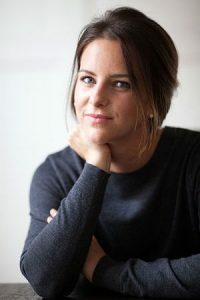 Claire Gibson is a writer and journalist based in Nashville, Tennessee. Born and raised at the U.S. Military Academy at West Point, she grew up captivated by cadets and always dreamed of writing a story that honored her childhood home and the women that inspired her there. Her stories have been featured in The Washington Post, The Christian Science Monitor, The Tennessean and Entrepreneur Magazine, among many other publications.